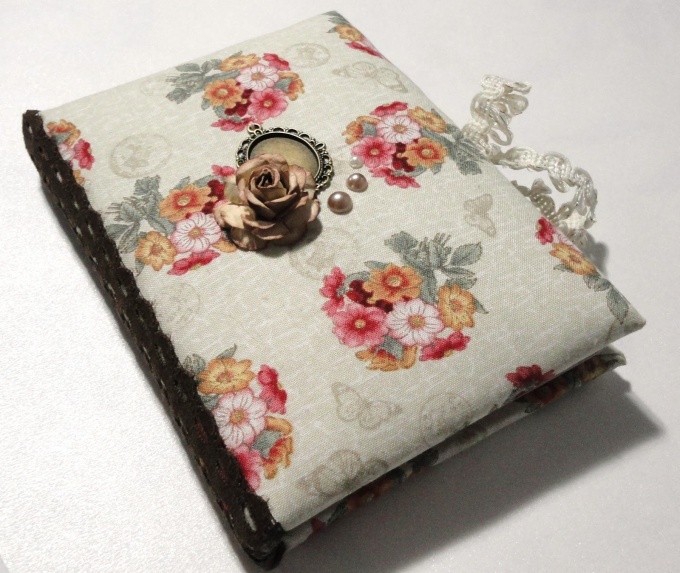 Notepad, hand made - stylish and beautiful accessory. 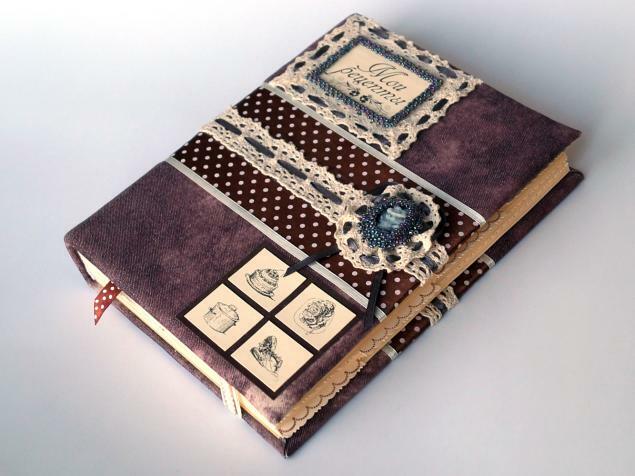 It can be carried in a purse, to put on the table for decoration, in this notebook is fully functional. Write down the important things, count calories, take notes, keep a diary - it's much nicer to do in a stylish notebook decorated with your own hands. 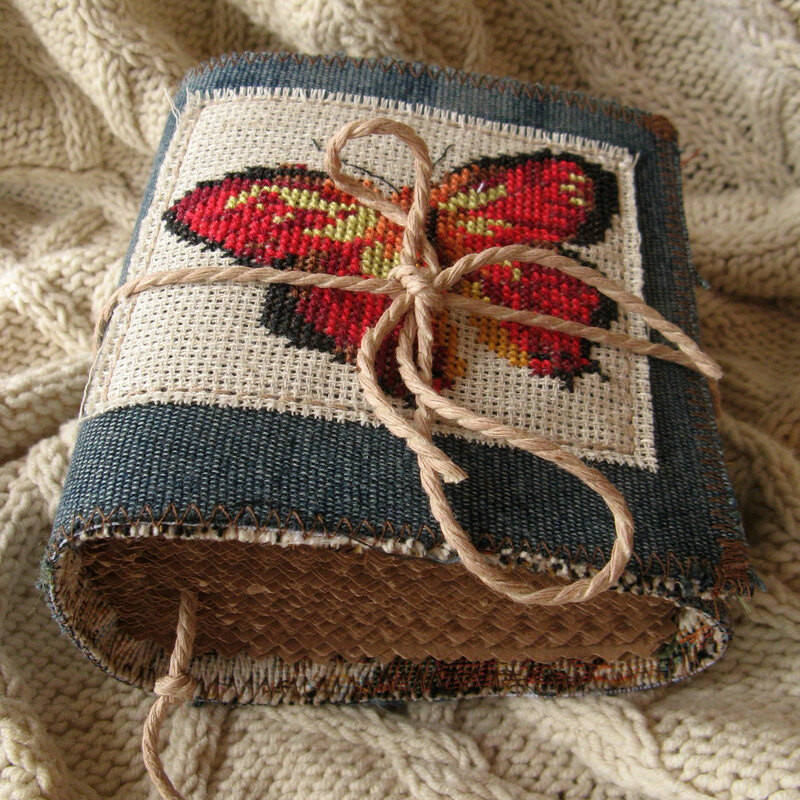 How to make a beautiful notebook with your own hands? This will require a trim beautiful fabric, glue, buttons, or earrings podwysocki, remnants of laces different colors and sizes of how to decorate a notebook, tell fantasy. First you need to make the cover. To do this, glue onto a cardboard fabric. Very nice natural materials - linen, matting, thick textured cotton. Stick the whole piece on the two halves of the cover - so your notebook will become more strong on the bend. Take trimming lace, buttons, charms and place them on the cover. Decorate the front part. Assemble the materials in different ways, superimposing them on each other. In addition to the lace and buttons you can use lace, natural materials - acorns, small pine cones, spikes, etc. This exciting work can be done together with children. Let everyone make a notebook to your liking. Useful tip: do not affix the decor immediately! Try different variants. Attach only once, select the best design. If the pages in a notebook are not many, each of them can be done individually, pasted on the edge of the paper thin ribbon or lace. From them you can make a beautiful bookmark. Attach the end of the string or tape earring or pendant - get a very original. Note: for DIY fit notebooks with thin paper covers different sizes, as well as weeklies with a dense cover of leatherette. For decorating use a thin cloth to cover was not too massive.